Active giveaway beside Ashampoo Burning Studio license key is free offer Ashampoo Snap 2018 license key. New version now released and it absolutely free. 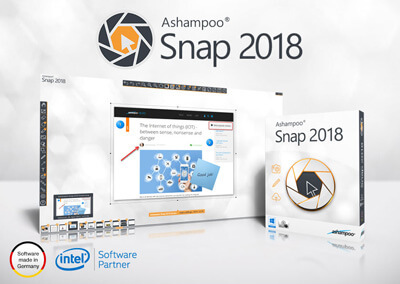 You can download new version Ashampoo Snap 2018 with the free serial key. Download the latest version of the screen capture software for free. Ashampoo Snap 2018 is a desktop screen capture tool for Windows. You can create a snapshot of windows and save them as image or in video formats. The software also features with editing tool to add watermark and effect to the image. The screen capture features, now support 4K resolution. On this offer, you can download the software for free. For every users who want to get Ashampoo Snap 2017 with free license key, use the following link. The activation code is lifetime version. The download the installer of the current version from this link. The software is seem works with Windows 7, Win 8/8.1, and Windows 10 only. Capture full desktop, windows, scrolling windows and specific area on the desktop. It having flexible tools for capturing desktop. Edit captured file using integrated editing tools. It having a real-time preview for editing image. Create video tutorial by capturing desktop and save them as video. Now allowed to save to 4K videos. New software version now also come with cloud integration. It means, you can connect the software with your cloud storage without additional software. Download the free version the tool but it without premium features. To use the premium features, use Ashampoo Snap 10 coupon and get extra features and full support from the developer. The paid version is better than the giveaway version. The paid license key is available with 70% discount using the coupon. Use the offer if requires better features.